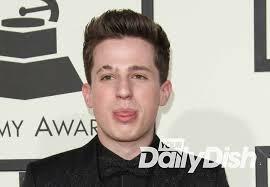 In his concert on Friday, 11th March in Dallas, Texas, Charlie Puth had slammed Justin Bieber in a foul-mouthed outburst and he has now apologized for it. After a rendition of his song We Don’t Talk Anymore, which features vocals from Selena Gomez, Justin Bieber’s ex-girlfriend, he bad-mouthed the Canadian singer to a shocked audience. The See You Again hit maker is now trying to make amends by posting a lengthy apology on Twitter. But, he deleted his tweets later on. In a series of messages posted on Saturday, Puth said that he was a huge Bieber fan and asked for forgiveness. He added that he was not a mean person and he apologized for offending people, especially Justin. He called his work inspiring and said he would never bash him publicly because he had been a victim of bullying as well. It was also reported that he had written a lengthier apology in which he said it was better to write one big apology rather than through a series of tweets. He mentioned that his concert act had just been a lighthearted attempt at humor, but he now realized that it came out the wrong way. He said that he didn’t want to exchange any hateful vernacular with another artist and he was hoping that Bieber’s fans would accept his apology. Nonetheless, both his apologies were deleted and his Twitter feed does not have any indications of his outburst. Charlie also won the Favorite Collaboration honor at the Kids Choice Award for See You Again, which he also performed in the event with Wiz Khalifa. He thanked his fans for voting for him. He said that it was a great honor as he had grown up watching these awards on his TV and was now lucky enough to win one.